One way to show your support for the community is by sponsoring an event. Sponsoring an event gives you the opportunity to make a connection with other business owners and leaders in the community while supporting their cause. Recently, we have donated to the annual Congressional Prayer Breakfast hosted by Congresswoman Grace Napolitano honoring our military, fire, and police of the 32nd Congressional District. This was a great way for us to meet our local politicians and show our support for the first responders in our community. Find a charity you feel passionate about and help them make a difference. There are so many charities that raise awareness to good causes, the question is which one (or ones) will you support? In the past, we have raised awareness for Breast Cancer Awareness Month by donating a dollar for every Facebook “Like” we received to support the Pink Ribbon Place program. The Pink Ribbon Place program is local Riverside nonprofit that serves as a resource center to educate women and men about breast cancer. Another way to give back to your community members is by inspiring them. There is something special about getting to meet the person your donation is supporting and seeing how it will benefit them. Each year Bail Hotline Bail Bonds donates and passes out 1,000 backpacks for the students of the Boys & Girls Club in Logan Heights for the upcoming school year. 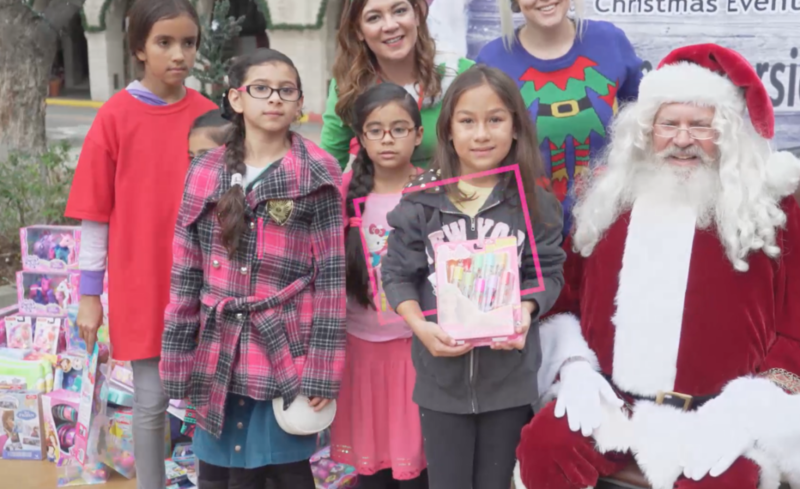 Hosting a charitable giveaway builds a stronger brand image and loyalty. To witness the positive impact this giveaway made in our community and its students is unforgettable. Volunteering shows the amount of dedication you are willing to put into a certain cause. Getting your employees involved not only shows the community that your team has fun working towards a common goal, it also is a great way to engage in team bonding. 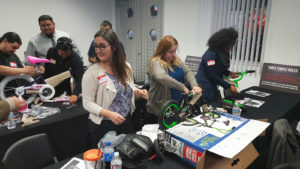 For the fifth year in a row, our employees will be volunteering for Miracle on Main Street, an annual toy drive in Riverside, supporting families in need by donating bicycles they have built for the children in our community. At Bail Bonds Bail Hotline, community involvement is one of our top priorities and we firmly believe volunteering shows our community how we value our mission of “Keeping Families Together.” By sponsoring, donating and volunteering we can ensure we are doing our part in building a better, more enjoyable community. This is our little way of giving back, and hope it inspires you to do the same in your community. This entry was posted in Local News and tagged Bail Hotline Bail Bonds donates, Bailbonds, Grace Napolitano, Hotline, Miracle on Main Street, The Pink Ribbon Place program is local Riverside. Bookmark the permalink.